Many people sing the praises of the Hurom Slow Juicer for its efficiency, but some customers question the overall quality of this juicer model. 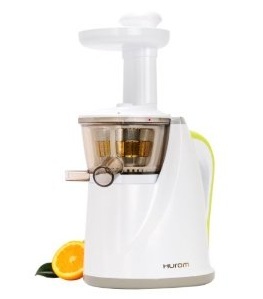 Hurom is a Japanese company that has been providing juicers and other home kitchen appliances around the world. They are very popular in North America right now, but their products can be found in forty countries. The first Slow Juicer released in North America was praised on popular television shows for efficiency, and the current models being released are just as impressive. Not all juicers are the same, so what are you looking for while shopping? 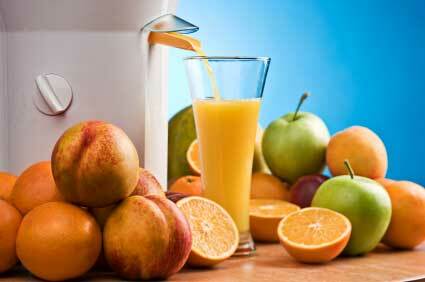 You will never find the perfect juicer if you do not know what the best juicer features are. The dual stage processing of the Hurom Slow Juicer crushes your produce before pushing out every last drop of juice. Juicers that simply push the juice out in one fast whirl may fill your glass up faster, but the juice is not likely to have to high concentration of nutrients found in juice produced by a slower processing juicer. The higher speed produces a lot of heat, which destroys nutrients in your produce. Who hasn’t used a blender or juicing machine that nearly vibrated itself off the countertop and woke up the neighbor’s miles down the road? Many people assume that blenders are supposed to be noisy, but they are not all as noisy as they used to be. The Hurom Slow Juicer is one of the quieter models on the market, so your neighbors can get their sleep while you make your green smoothie for breakfast. This one is simple. You don’t want to give up half of your free counter space to a juicer. The Hurom Slow Juicer has a stylish design that will fit comfortably into the corner of your kitchen. You won’t have to give it a lot of room, but it will give you a lot of healthy juice in return. The Hurom Slow Juicer has self-cleaning features that make it easier to process a variety of fruits and vegetables, and then clean up when the juicing is done. The machine has a self-cleaning screen and will rinse itself out with water so you can go from one juicing job to another without mixing flavors. This may seem like a strange thing to shop for, but not all juicers work with leafy green vegetables like spinach leaves and wheatgrass. The veins are so small on these vegetables and grasses that it can be difficult for a machine to get the juice out in decent yield. The Hurom Slow Juicer was designed to work with all fruits and vegetables, including wheatgrass. Unfortunately, it doesn’t work as well as you may expect with green leafy vegetables. There are consumer complaints about the processing of green leafy vegetables with this machine, though some claim that you can fix the problem by juicing along with carrots or apples. Some customers who use this juicer on a daily basis have also complained about how easily the basket and some of the other parts break when juicing some tougher items. Generally this can be avoided if food in cut up into smaller pieces before juicing. There are many consumer reviews for this juicer, and most feel the Slow Juicer is worth the price. It is very efficient and extremely quiet, without throwing food around and making a mess. It just might not be the most efficient machine with green leafy vegetables.